Bali Model Agency (BMA) founded in 2018 is the sister company of Baliprod, a photo and video production agency established in Indonesia in 2015. The new division was created as the demand for male models and female models increased in Bali. Bali Model Agency provides both local Indonesian models and International models from around the ..
Peter Bannan is an Indonesia based director and photographer. After completing a Fine Arts degree in European Cinema at Canterbury University (New Zealand), he began a career directing music videos, short films and TV documentaries, alongside exhibiting personal photography as well as commercial fashion photography. 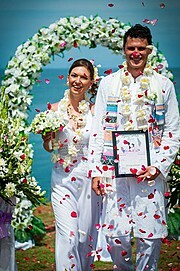 Founded in 1991, Ban..
Professional Wedding Photographer in Bali. Also serve Wedding Videography, Family Photography, Pre Wedding Photography. this wiki is missing a contact email, help by adding it.